Lil Duval: Celebrities aren’t exactly pouring out of Jacksonville, Florida but that’s only made Roland Powell’s grind more ferocious. Proclaiming himself “Lil Duval” after the county from which he hails, he has literally put his home turf on his back as he touches every nook and cranny available with his special brand of humor. That sense of originality is one of the reasons Lil Duval attracted the attention of hip-hop’s reigning king early on. A fan since 2001, when Duval first started wrecking stages, T.I. 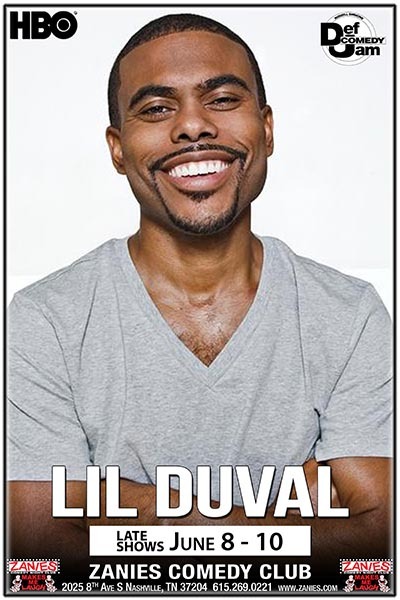 didn’t hesitate later on to add Lil Duval to his label Grand Hustle’s comedy roster. "He's someone who says what everyone else is thinking and scared to say,” shares T.I. “He talks about life's most difficult and embarrassing moments. To take these things and find ways to make people laugh, especially when folks see fit to cry, is comedy at its finest."